In case you missed Game 1 of the Eastern Conference Finals last night, in which the Chicago Bulls won 103-82 over the Miami Heat, the real star of the show was Taj Gibson, who threw down not one but two demoralizing jams. The first was on the finish of a fastbreak when he gets all over Dwayne Wade's stuff. 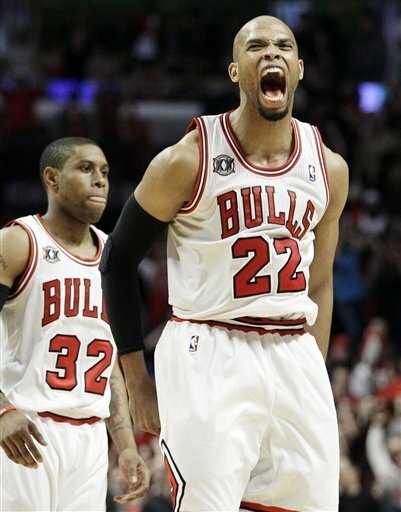 And the second capped off the victory for the Bulls late with a monster putback jam with the one hand. PRetty awesome stuff. And a matter of fact, we got both dunks on video for you folks out there. Enjoy.